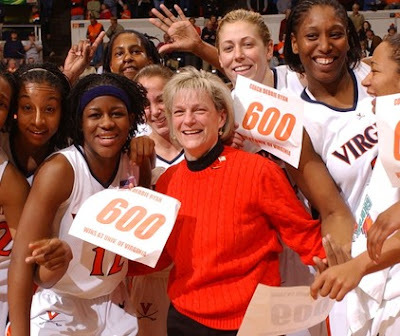 Virginia coach Debbie Ryan’s career has been marked by longevity, loyalty and success, and for that she has been chosen as this year's recipients for the Lapchick Character Award. Hall of Famer Pete Carril of Princeton and Jim Phelan of Mount St. Mary's will also receive the award Nov. 17 at Madison Square Garden, it was announced Thursday, Aug. 18, 2011. Ryan, a member of the Women's Basketball Hall of Fame, has been the head coach of the Virginia women's basketball team for 34 years, all but four years of the program's existence. She also served as an assistant coach in the program for two years before becoming head coach. She retired last spring. 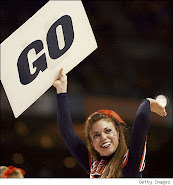 Ryan's Virginia teams have compiled an overall record of 736-323, won 20 or more games 23 times and 30 or more twice. The Cavaliers participated in the NCAA Tournament 24 times under her direction and made three consecutive Final Four appearances from 1990-92. Only eight other active Division I women's basketball coaches have reached the 700-win milestone. Down Goes Miami: Sympathy For The Devil? Today's T.A.H. Question: Who Do You Believe?